Sony Xperia XZ1 Compact is the most portable of Sony’s 2017 XZ series flagship offerings. Although it is smaller in size and makes some concessions, it packs powerful punch and shares a good number of the regular model’s features, including an impressive Motion Eye camera and innovative 3D Creator. If you want a premium device that you can very comfortably operate with a single hand, the Sony Xperia XZ1 Compact is one to consider. The design is one you should be used to if you have been following offerings in this range. It is somewhat lightweight, probably as a result of the use of a polymer-like material for the body. Sony Xperia XZ1 Compact looks like one to rival Apple’s iPhone SE to an extent. It sports a 4.6-inch IPS display that uses Triluminos technology as the Sony Xperia XZ1. Sadly, the screen resolution is only 1,280 x 720 pixels. Sony Xperia XZ1 Compact also lacks HDR support. There is no difference between what the Sony Xperia XZ1 Compact offers in the camera department and that of the main flagship device. It rocks on the rear a 19MP Motion Eye camera with an Exmor RS sensor. This boasts ability to shoot super slow-motion videos at 960 frames per second. And of course, it shoots 4K videos at 30 fps. On the front of the Sony Xperia XZ1 Compact is an 8MP selfie shooter boasting 120 degrees field of view. This is great for taking group selfies. You also still get the 3D content creator. With this, you can turn any image into a 3D object and print. The concessions made on the Sony Xperia XZ1 Compact don’t extend to performance. It packs similar solid punch as the Xperia XZ1, with a Qualcomm Snapdragon 835 processor ticking away under the hood. The robust chip gets backing from similar 4GB RAM. Onboard storage is 64 GB and is expandable. The Sony Xperia XZ1 Compact was among the first to boot latest Android 8.0 Oreo out of the box. The mobile phone offers both 3.5mm audio jack and a USB Type-C port. There is support for Wi-Fi connections on both 2.4Gz and 5GHz bands. Oddly, it offers no fingerprint sensor on some models. 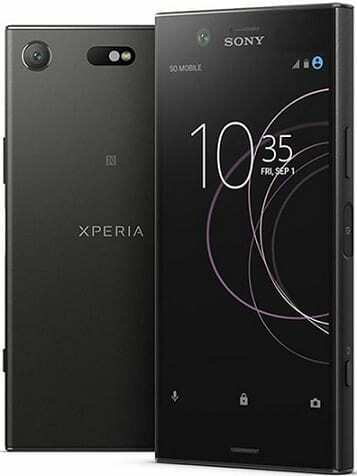 Sony Xperia XZ1 Compact is not yet official in Nigeria, but a third party seller is currently offering the smartphone on Jumia Nigeria as part of the Jumia Global program. We currently have no data on pricing and availability for Ghana and Kenya. Sony Xperia XZ1 Compact Price in Nigeria ranges from 205,000 Naira to 270,000 Naira depending on your location in the country.